I fell in love with the daily ritual of using candles while working at home when I became a writer many, many moons ago. Lately though, I’ve been seeing a host of super sleek scent treatments (like rubber incense) that help to keep your air fresh, sweet, and posh, on shelves. 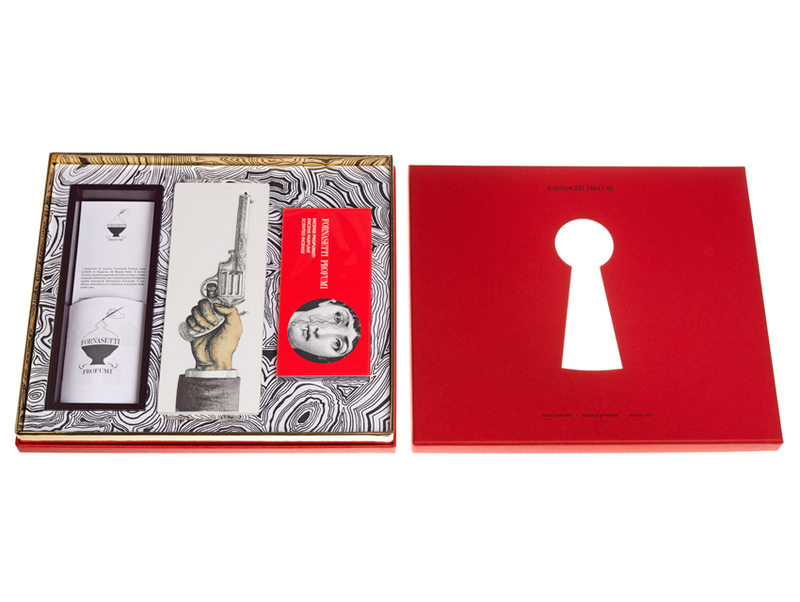 Monsieur Malle prefers a quick shot of a perfume gun to the slow but intense burn of a candle. “I believe that it is important to have a lot of scent at first and then have it gradually fade over time. Candles dispense more fragrance over time—to the point that it can be unbearable.” Me? I want anything that dispenses scent and lots of it. Sniffing the right candle or walking by freshly soaked diffuser sticks can change up my mood in a flash. As a writer, selecting the right scents for the right inspiration is an important exercise. No, it’s not just a candle for me. The obsession is so much more! The goal in selecting the right scent this time of year is to create an atmosphere that’s comfortable to relax in, either on your own or with friends. I’ve rounded up some striking, ornamental and unusual ways to incorporate scent into your every day living spaces (cars, included) that will make everything feel lighter, brighter, fresher, and, yes, younger in spirit. The fresh, watery scent with extra refreshing mint and sweet licorice is an easy way to get a Mediterranean vibe going. This one is warm and inviting, perfect for snuggle weather though the industrial-strength spray bottle is huge but sparse looking. 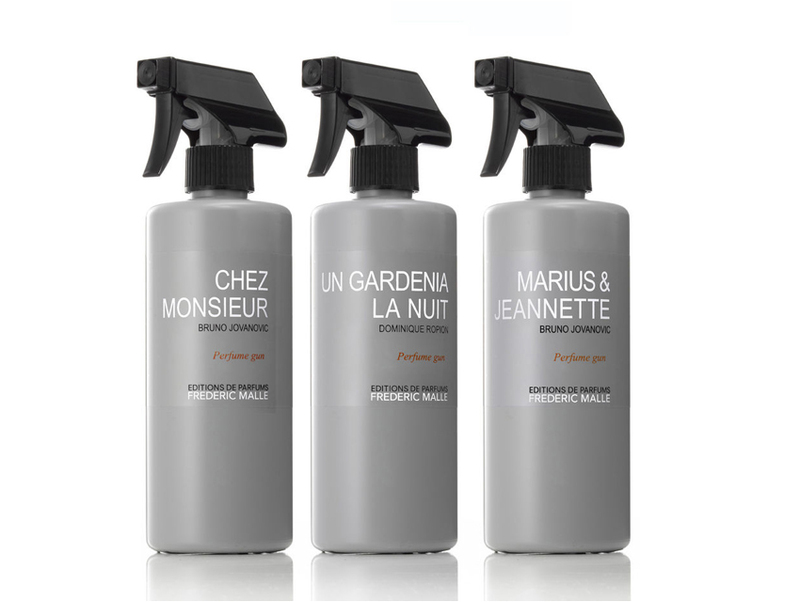 The packaging was created for hotel use, so expect to tuck this one away with the rest of your cleaning supply stash. Stunning. Gorgeous. Addicting. I can go on about the 80 highly fragranced sticks you’ll get in this handcrafted set. The scent, created by world-renowned perfumer Emmanuel Philip, is as deeply meditative as you’d expect. Rose and jasmine are blended with a wee bit of sandalwood, offering tender wafts that dissipate quickly without any billowing smoke to cloud up my contact lenses. Even the box smells great. 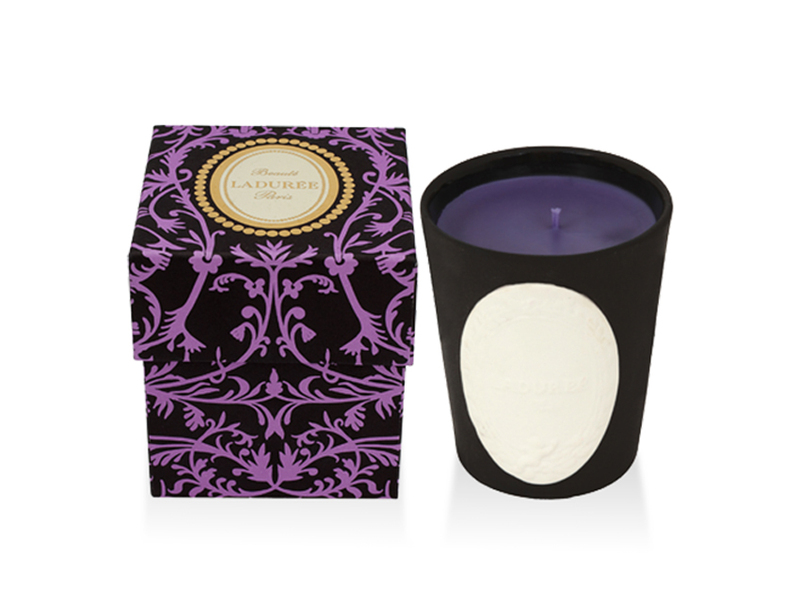 Ladurée’s perfumed candle brings a whole new dimension to the hazy burn of woodsy notes. The candle is made from mineral wax (which reduces allergic reactions) and has a 100% cotton wick for an ultra-clean burn. No soot in this precious light. You’ll get a big spicy opening; imagine a big, bodacious ‘80s exotic scent like Coco, but one with more flair. Nothing signals the arrival of the holidays like the scent of resinous myrrh. When paired with the freshness of geranium, amber, and vanilla, it becomes plush and warm. Plus, I adore the kitschy color scheme, which makes this a colorful addition to any room any time of the year. You’ve seen the candles, but have you considered the scented wax? Encased in a ceramic mold, this hardened solid is designed for smaller spaces (drawers and closets) and diffuses a cuddly sweet black currant leaves scent for up to three months. A cord helps you hang it easily if you want your clothes to smell great, too. Yes, I fell prey to designer laundry detergent. Each 35-ounce bottle is good for 20 wash cycles. Sure it launders clothes, but I was more interested in the lily of the valley scent the copy promised. Of course, it smells way better than Tide, though for being marketed as a unisex scent, it’s quite floral. The boyfriend may not gush over it as much as you will. Sachets should be a household essential; they work to repel moths, mildew, and general mustiness. 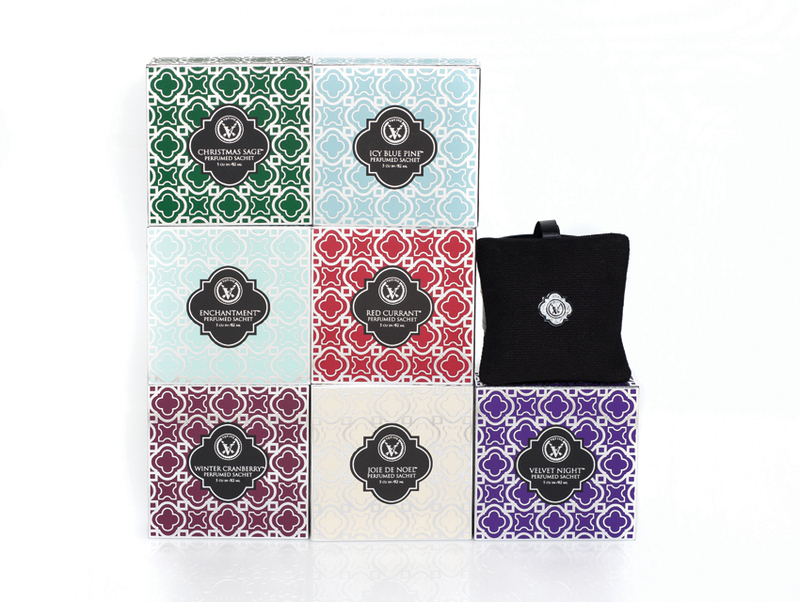 Votivo launched this holiday collection of stocking stuffer-sized, velvety sachets, which pack of a punch of scent. The red currant one is my fave of the lot for being a bit fruitier than the usual black currant I reach for. Zen-obsessed spa lovers, this nifty gadget is for you. 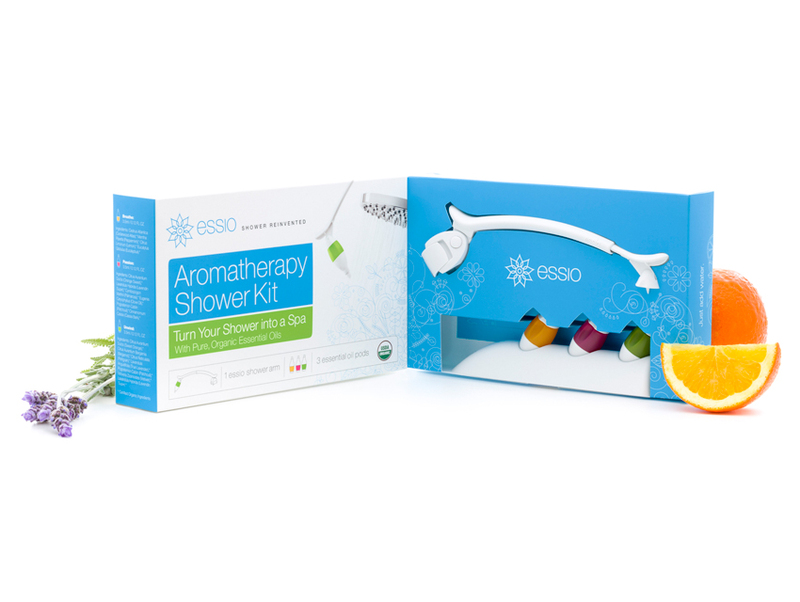 An easy-to-attach arm clips to your showerhead and disperses 100% organic essential oils from a specially made pod that you insert and that releases aromatic scents during your bath time. Each pod lasts up to five showers, and you’ll be relieved to know your hair or skin will have no greasy residue. Plus, showering will smell great. A native Angeleno, Nav is a Leo, hates cilantro, and has been testing beauty products for print and digital magazines for nearly a decade. She spends her days working in media and strategy and her nights sniffing out slightly quirky yet impeccably pretty things along with her German Shepherd, Le Tigre.